Ms. Travis joined LSInc immediately following her retirement from Federal service in October 2011 as LSInc’s Subject Matter Expert for Configuration Management/Logistics Information Technology. On 23 April 2013, Ms. Travis was selected as the Director, Navy Logistics & IT Division for the company based upon her impeccable logistics pedigree recognized throughout the Navy’s Logistics Community. Ms. Travis is responsible for overseeing the development and delivery of all logistics and IT support solutions to LSInc’s growing customer base. Her Federal career spanned 42 years and included assignments at HQ Fifth Army Ft. Sheraton, IL; NUWC Newport RI; Naval Supply Center Newport, RI; Naval Air Reserve Unit Jacksonville, FL; Public Works/Supply Departments Naval Air Station Cecil Field, FL; Comptroller Department Naval Station Mayport, FL; and SUPSHIP Jacksonville, FL. Under the sponsorship of NAVSEA 04, Ms. Travis established the Naval Sea Logistics Center Fleet Support Office Jacksonville within the Regional Maintenance Center in Mayport in 1997. 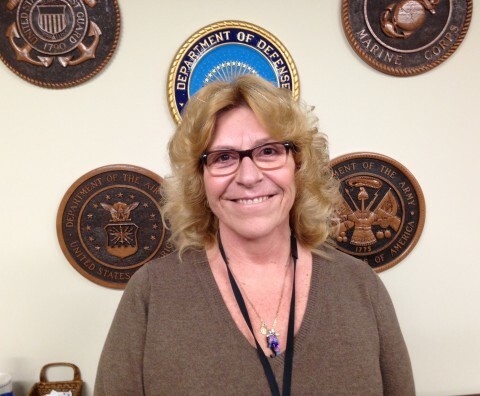 She served collaterally as the NAVSEA 04M Branch Head for Regional Maintenance IT Systems for 15 months, initiated the development of the Navy Data Environment (NDE) and served as the initial Functional Requirements Lead for the Fleet Maintenance ERP solution, NEMAIS. The Mayport office grew from a contingency of 7 employees with one sponsor to a detachment of 28 with 13 sponsors and over 100 project team members across 5 NSLC sites. She served as the NSLC Product Manager for Configuration Management (CM), Navy Modernization and Logistics IT Systems product line until her retirement. Ms. Travis hails from Newport, RI and proudly asserts that she has never been without a Government ID card, from childhood as a dependent to adult retired civil service. She attended the University of Rhode Island, Bristol Community College, Florida State College, University of North Florida, Villanova University and is currently enrolled in Liberty University. She served for 28 years as a Hearing Officer for the Florida State Attorney’s Office and as Teen and Truancy Courts Judge/Magistrate for Duval County Florida.